Our Client is a leading manufacturer of spices & snacks and has been in existence for over 30years.They seek to hire a Sales Representative – General Trade and Van Sales who will be tasked with increasing sales and brand visibility for the company products. Prepare regular reports and analysis on sales. Bachelor in Business, Sales & Marketing or related field. 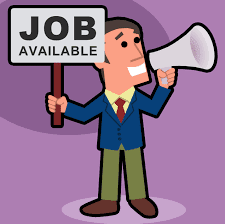 MUST Have 3– 4 years in experience in sales of FMCG products. MUST Have Proven experience in General Trade Channel. Should be highly motivated and aggressive sales person. Should be presentable & well kept at all times. If you are up to the challenge, possess the necessary qualification and experience; please send your CV only quoting the job title on the email subject (FMCG Sales Rep – General Trade and Van Sales) to vacancies@corporatestaffing.co.ke before 17th July 2017. N.B: We do not charge any fee for receiving your CV or for interviewing. Only candidates short-listed for interview will be contacted.